There is a misconception by some that cold formed steel (CFS) should only be used for interior framing or non-structural building elements - but that’s not the full extent of its capabilities. Far from it. CFS delivers many advantages in the construction of structural, load bearing walls as well. 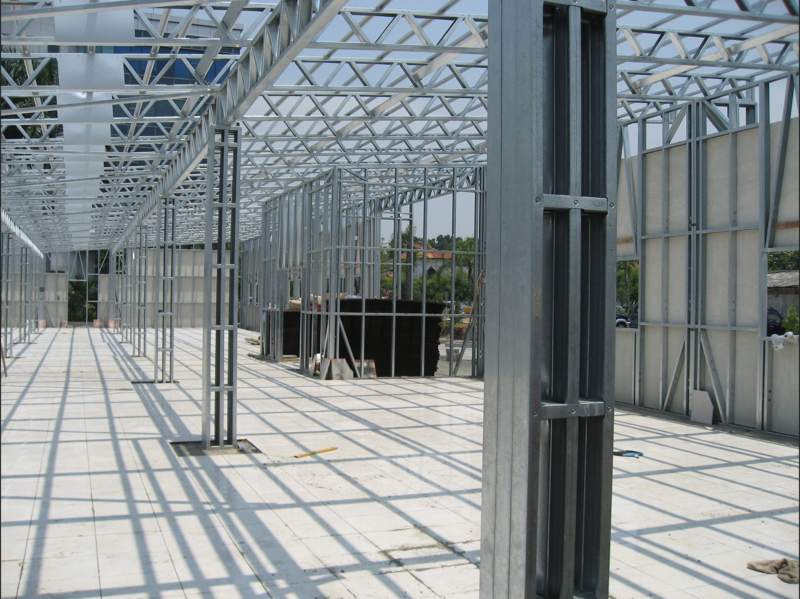 CFS is deployed worldwide for structural framing, in buildings of all sizes and purposes. These include multi-story projects, meeting engineering compliance to local design and building codes and to last as long as any building erected using traditional materials. Because CFS, with the help of technical software (like, FRAMECAD Structure), can be engineered and designed to be load-bearing, and because of its unique physical characteristics, CFS makes for a superior structural framing material. CFS has a very high strength-to-weight ratio, and due to its high ductility, is well-suited for usage in lateral load resistance systems. FRAMECAD Structure software makes real time calculations, analyse loads, deflection and other forces to making it an easy process to check for compliant engineering. Cold Formed Steel construction designed with FRAMECAD Structure are engineered to withstands earthquakes and catastrophic weather events, such as tsunamis, tornadoes, and hurricanes, when used in structural framing. Load-bearing walls made with CFS can be utilised both in sheathed panel shear wall systems, and in light frame strap braced wall systems. In either case, the steel supplies the lateral resistance needed for any typical building’s durability, whether the application is residential, commercial, or public works. Misconception #1. CFS can only be used in interior walls that are not crucial to a building’s structural integrity. Untrue: CFS has high dimensional stability, and is resistant to buckling and warping. The stability of CFS, combined with its lateral resistance and the fact that it is unaffected by water or heat, makes it an ideal structural material in regions prone to harsh weather. CFS meets or exceeds the durability standards set by other structural materials. Due to its strength and structural performance, CFS can protect other supported components, such as those made of plaster and concrete, from damage. CFS is also fire-resistant and rustproof, making it a safe, reliable option for load bearing in multi-family homes and commercial buildings. Misconception #2. CFS can only be used structurally in smaller, low-rise buildings. Untrue: CFS is suitable for mid- and multi-level buildings as well, it all depends on how it has been engineered. The durability of the steel, when used in framing and load-bearing systems, means it will not sag, settle or warp. In large projects, the stability and lateral load resistance qualities of CFS are essential assets for the building’s integrity. CFS is being deployed in large-scale projects such as hotel complexes, multi-storey family buildings, schools, and healthcare facilities around the world. The specialised software used to create CFS components makes many configurations and designs possible. With FRAMECAD Structure, all project specifications, including the loads, deflection and other forces , are entered in and calculated as part of the engineering of each CFS component. For all of these reasons, CFS is finding wide employment for wall panels, roof trusses and floor joists, among many other structural and design applications. As CFS grows in adoption around the world, it’s finding fast acceptance as a reliable structural, load bearing construction process. The superior strength, stability, and weather and load resistance of CFS make it a dependable material of choice for load-bearing walls and other structural elements, above and beyond the design opportunities that it makes possible.